Foreign Minister Avigdor Lieberman sharply criticized Arab MK Hanin Zoabi on Monday. Zoabi, an elected member of the Israeli parliament, is notorious for her statements and actions against the Jewish State. She was aboard the Mavi Marmara during the 2010 Gaza flotilla which was organized by IHH terrorists. Her fellow passengers sought to lynch Israeli naval commandos who boarded the ship in accordance with international maritime law. Last week, Zoabi was confronted by angry Jewish residents of Kiryat Arba and Hevron as she visited Hevron’s Arab residents. Nationalist activists have announced their intention to visit Nazareth on March 11 and hold a demonstration against Zoabi and her Balad party. 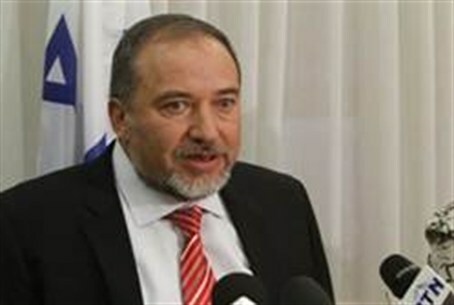 In his remarks, Lieberman also addressed the attack on two IDF soldiers in Haifa on the weekend and said it was nothing short of a terror attack. The attack took place near Rambam Hospital in Haifa, and was fended off by the soldiers and security guards who helped defend them.